In a comment on my previous post, John Shoaf asked the following question: “Where will we see the reasoned, in-depth discussion of politics and social issues in the future?”. Below is my thoughts on what has happened and what I believe the future does/should hold. It appears, over a period of a number of years, the quality and quantity of reporting has decreased. 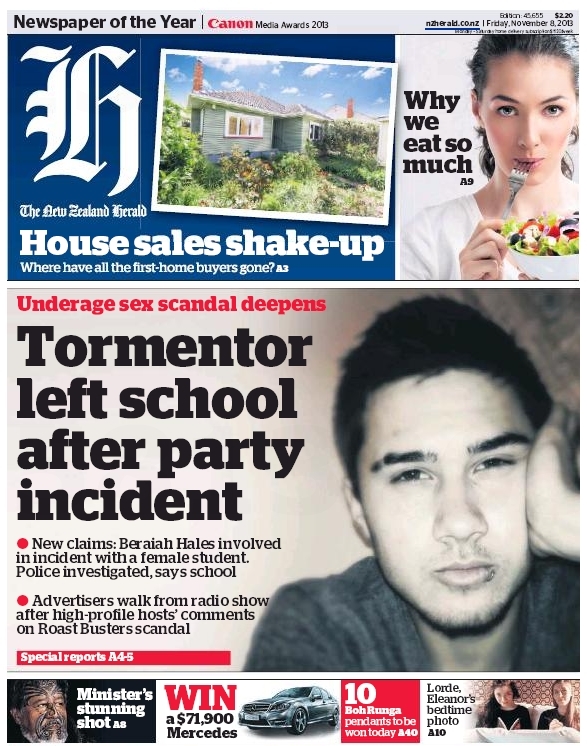 As a very quick, but unscientific example, have a look at these NZ Herald front pages. 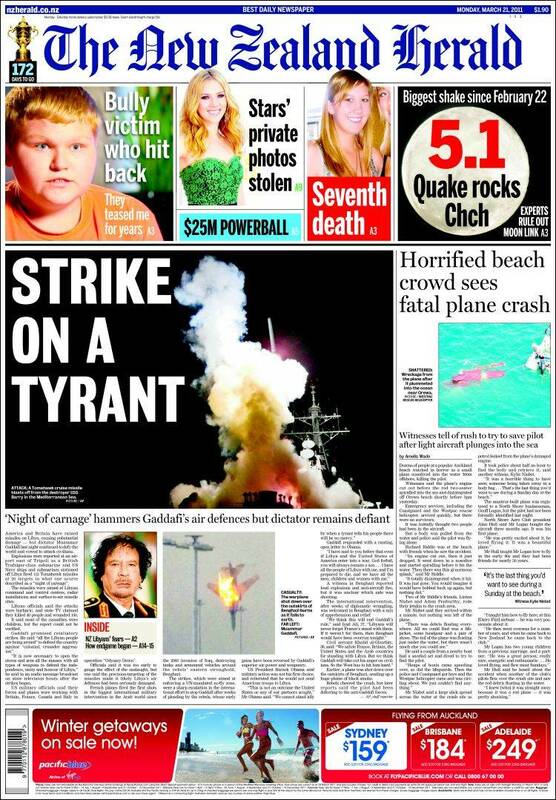 The first two images are of NZ Herald front pages March 2011 and October 2010, when the NZ Herald was still a broadsheet paper every day. 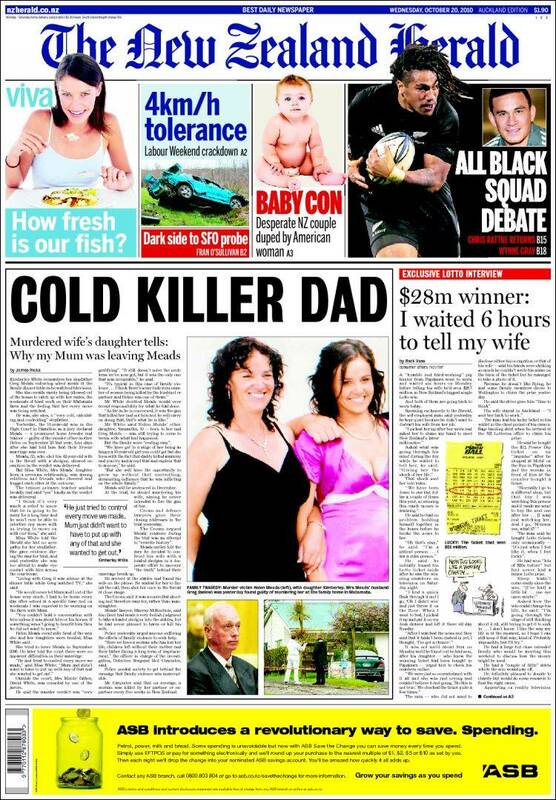 The last three come from the period after the NZ Herald shifted to a “compact”, or more commonly called Tabloid, format. The first thing that strikes me is the ever increasing dominance of advertising on the front page, both internal advertising (what else you can find inside the paper) and external advertising for products and services. It is obvious just from the amount of story text in the first two images, compared to the last three that the amount of in depth reporting that is being carried on the front page is decreasing massively. In the past papers were peoples go to sources for news. Every city had its “Paper of record”. Now, most people are getting their news from the TV, Radio, internet, or social media. There is an ongoing demand for faster and faster news cycles, which by default demand more compact stories. Now, newspapers have two options available to them. (I am separating out publications print and online out puts here). They can either try and stick with the short stories that are being published online and reprinting foreign content many days after it has appeared online. Or they can use their longer print deadlines as an advantage. They can use the extra time they have, compared to online news outlets and blogs, to do in depth reporting on issues that are of interest to readers. At the same time, there have been on going complaints of media dumbing down. That is far too big of a topic for a single blog post to cover, so I will not even attempt to, but lets for the moment assume there is some basis to that view. Does this come about because the media choose to go down that route, or does it come about because they are following the market? It is probably a combination of the two. But there will always be a market for those looking for in depth reporting and debate of issues. Vanity Fair and Vogue have a long tradition of publishing in-depth, investigative articles into a range of subjects. They are the prime example of publications using their long lead times to their advantage. The papers in New Zealand appear to be aiming for option one, running short stories and reprinting stories from foreign sources days later. Where as I believe their future lays with option two, using their longer lead times to undertake in-depth reporting. So if papers are going down route one, where does one turn for in-depth reporting? My view is that blogs will step up to fill the void. This may be a case of doing the fact checking of stories that reporters don’t do, due to pressure of time lines or by choice. Or doing their own in-depth reporting and investigation of stories. Blogs also have the advantage that they can build up a community around them that engages in debate with the issue. Which print news papers are not able to do. Also blogs have the ability to specialise in a particular area, to concentrate on covering that one subject or physical area exclusively. Where as news papers have to cover a wide range of subjects and areas. Previous Article← Twitter greatest influence this year? Good analysis, Matthew. I agree with your take on newspapers vs. online media. I’m not sure, however, that blogs can really fill the need for in-depth analysis. They tend to reflect the opinions of the blog writer (bloggist? blogger? ), and so are in effect biased from the beginning. One might argue that a newspaper story, written by one person, has the same fault; but then they usually go through an editorial process — not so with a blog. Comments left by others on the blog may indeed present contrary points of view, as I am doing, but I would guess that those who follow and comment on blogs select those with which they already at least partially agree. I think a well-written newspaper, a London Times or Wall Street Journal, as long as you understand the particular editorial bias, will still offer the best in-depth reporting. Having said that, seldom does the NZ Herald seem to actually carry well-written, well-researched in-depth articles… It seems that television (TV3 current affairs in particular) is taking the initiative in terms of producing investigative journalism and the longer-running campaign-style reports that may unfold over several nights or even several weeks. By the way, awesome to see you down in Gissie! Hope you enjoyed the wedding! I do agree, using the front page isn’t the most accurate way to measure things, but it was a method that was quickly available as a way to measure things. Also, it wasn’t just the amount of advertising that I was taking into account. It was also how much of it was to do with referring people to hard hitting, well written, well researched, in depth articles inside? I agree that it is TV, especially TV3 that is doing the in depth, multi day/week stories, stories they are coming back to later on to follow up. But I do believe this is where newspapers should be going. Their timelines suit things like that better than trying to cover “breaking news” like they used to do. Now a days if you come to a breaking news story 30 min late, well it is all done and dusted. Was good to see you in Gissie! Hope you had a good trip around the East Cape. 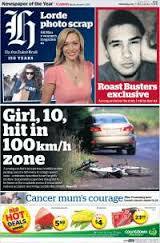 True – front pages these days do seem to be largely devoid of reference to news articles of any particular consequence. I’d certainly agree that’s where newspapers should be going. The medium of paper (or the online article) is far better suited to it than TV. When TV tries to convey complicated a series of complicated facts, stats etc., a lot of what they are trying to get across is immediately lost. The medium has to move so quickly that very little is able to properly sink in. However, the printed word allows for greater reflection on the part of the reader. You can skip backwards and forwards through an article, making sense of the intricacies of a complex issue. And yep, the East Cape was glorious!